When tax season arrives, it is relatively easy to approach this process with a certain degree of grim frustration. For those taxpayers who aren't planning on receiving a refund, being confronted with a tax bill is never a pleasant experience. Following the passage of the Tax Cuts and Jobs Act, the tax code changed in such a way that expanded the size of the standard deduction while simultaneously reducing the number of individual deductions and exemptions available to taxpayers. That being said, a variety of important write-offs are still available for all taxpayers. Understanding how to take advantage of these tax write-offs will help ensure that you save as much money as possible during tax season. Although the 2017 Tax Cuts and Jobs Act eliminated a number of valuable deduction opportunities, many write-offs are still available. Charitable contributions, education expenses and purchases made by business owners for their work are all examples of tax write-off opportunities that remain in effect. As mentioned previously, the 2017 Tax Cuts and Jobs Act served to streamline the tax filing process by eliminating a number of exemptions and deductions in favor of a significantly expanded standard deduction. As an example, individuals who had investments in various stocks, IRAs, etc., are no longer able to deduct service fees associated with their brokerage. Likewise, individuals who relocated to a new city or other location are no longer able to deduct the expenses associated with their move. These are just two examples of the narrowing of deduction opportunities which occurred following the passage of this legislation. Although the removal of these deductions may initially appear to expand the tax burden for individuals across the country, it is also important to remember that the size of the standard deduction for taxpayers also increased. Whereas the standard deduction amount in 2017 for single taxpayers was $6,350, it was increased to $12,000, nearly double the former amount. Many tax deductions remain in effect for taxpayers. One of the most popular and enduring tax write-offs that remains in effect is the deduction for charitable giving. Donations to qualifying 501(c)(3) organizations can still be deducted on your tax return using one of two IRS forms, depending upon the specific nature of the contribution. For cash donations to charitable groups, taxpayers can report their giving using Schedule A of IRS Form 1040. Non-cash donations such as cars, homes, boats and other assets can be reported using IRS Form 8283. In either situation, the value of these donations can still be deducted as in prior years. Yet another common expense that remains tax deductible is continued education. Many adults make the mistake of thinking that they cannot deduct educational expenses once they have completed their formal college training. However, the federal government offers a Lifetime Learning Credit, available to any adult who wishes to continue their post-high school education. This particular credit is worth up to $2,000 per year, although some phasing does occur based on income levels. Self-employed individuals are keenly aware of the expenses associated with Social Security and Medicare taxes. Given the fact that a self-employed individual is their own employer, these individuals are responsible for paying both the employee and employer element of the Social Security contribution, the equivalent of 15.3 percent of their pay. Fortunately, the federal government allows self-employed individuals to deduct the employer facet of their Social Security tax. This means that only 7.65 percent of their income will be routed towards this program rather than the full 15.3 percent. As can be imagined, this represents a significant cost-saving measure for self-employed individuals across the country. Those individuals who are self-employed can still rely on a number of powerful exemption and deduction opportunities to help minimize their tax burden, particularly when it comes to business expenses. 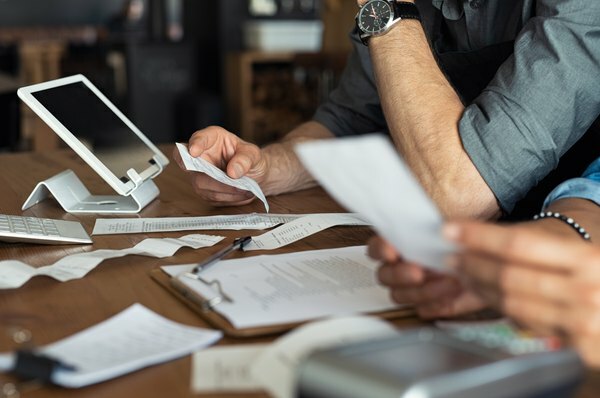 The IRS allows business owners and self-employed adults to write off the cost of any expenses that are necessary for the successful completion of their work. This particular write-off can incorporate a wide variety of expenses, ranging from equipment purchases to transportation, etc. The only particular caveat in this situation is that all of these expenses must be carefully documented in order to ensure full compliance with IRS regulations. Accountability is key when it comes to claiming tax write offs for business expenses. In the event that you are audited, it is essential that you can not only provide a record of the transactions you have written off but also a detailed explanation as to how these expenses benefited your business practice. Failure to do so could void a significant element of your write offs and raise your tax bill in the process. Any expenses you choose to write off must be listed as itemized deductions on Schedule A of IRS Form 1040. Self-employed individuals are also eligible to deduct virtually all of their health insurance premiums. Given the high cost of health coverage for many individuals who do not have employer-sponsored plans, this can prove to be particularly beneficial. Outside of health insurance premiums, deduction medical expenses is also a possibility for taxpayers, regardless of their employment status. According to current IRS guidelines, individuals can deduct medical expenses which exceed 7.5 percent of their current adjusted gross income. Beginning in tax year 2019, however, the threshold for deductions will raise to 10 percent of adjusted gross income. A wide variety of additional deductions and tax breaks may be available to you based on your employment status, domestic arrangement and age. With that in mind, you should take the time to consult available online resources provided by the IRS to identify all current deductions and credits. Consulting with a tax professional may also help you minimize the size of your tax bill and provide you with additional insight regarding strategies for reducing your tax burden in the future. It is important to remember that deductions should be documented carefully and with the greatest degree of precision possible. For example, if a self-employed individual chooses to deduct the number of miles they drove for professional purposes, they must be able to provide an accurate record of odometer readings if requested by the IRS. Failure to keep accurate records could create a variety of problems for the tax filer in the event of an audit. Not only will an individual be forced to pay back any funds that previously were deducted and then voided by the IRS, but they will also be required to pay late penalties on these funds. As you can see, inaccurate record keeping can be quite costly when it comes to tax write offs and deductions as a whole.